EAA members should get involved NOW with the community’s top priority in GA advocacy. Contact your Senators and Representatives and urge them to co-sponsor and support S. 571 and H.R. 1062, the Pilot’s Bill of Rights 2. EAA helped to draft the newly introduced twin bills, and they already have bipartisan support from top lawmakers. The bill aims to allow pilots flying certain aircraft to operate using a driver’s license in lieu of a traditional third-class medical, and it will build upon the first Pilot’s Bill of Rights in ensuring that pilots and other airman are given due process in enforcement proceedings. Soar Truckee, Inc. will be starting a certificated glider license instruction course at LHM beginning April 1st, 2015. Richard Pearl – CFIG, LRAA member, and president of Soar Truckee, said that this April and May session is designed for current power pilots who want to experience another form of aviation…this one without an engine. Depending on the number of students, the course could be run either during the week or on weekend. The course is designed to be an accelerated program of flight instruction, which helps to keep down the cost of the license. It typically takes 12 +/- flights to solo on an accelerated basis for a current power pilot, at a cost of approximately $1,500. Added to this are costs for the solo flights and flight check with a D.P.E. Students can opt for either the private glider license, or the commercial license. No medical is required to fly a glider. Students who cannot complete the course before the end of May would finish the program at the Truckee gliderport (TRK). Even without gaining the license (which also qualifies for a Biennial flight review), the knowledge gained from “engine-off” operations can be a lifesaver for power pilots. Soar Truckee will also offer a four-hour “Emergency Landings for Power Pilots” program consisting of a ground school session and two glider flights. In support of the local general aviation community, the City of Lincoln continues to offer some of the best bargains in the area for self-serve 100LL fuel. This weekend (Friday evening through Monday morning) take advantage of the low $3.69/gallon price! Mr Scott Wilson, tower chief at RDD will discuss the current operations and procedures for the RDD airfield. Mr. Wilson has 30 years of experience and has been in Redding for a number of years now. He will provide an overview and then delve into specifics for day, night and IFR procedures for when the tower is in operation. We’ve started a page to collect pictures of the February membership meeting… send any more that you have. On February 18 we’ll be having our membership meeting at Cattlemens Restaurant, 2000 Taylor Road, Roseville. In the Banquet Hall, dinner will be at 18:00 for those who are interested, and the meeting is scheduled to begin at 19:00. Cattlemens has asked that diners have cash ($12.99 for the pre-set meals) to make settling up easier and faster. We’ll be having a talk from Jeff O’Mealy about his experimental Switchblade project. 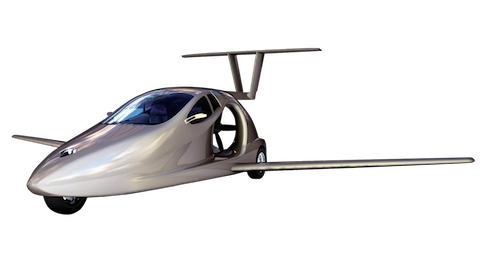 We hope you can join us for an informative talk about the world’s first practical flying car. The full scale carbon fiber prototype is now being built in Central Oregon and you will get to see photos of the latest progress on the Switchblade wings. Come see what milestones have been achieved, including time-lapse video footage of wind tunnel testing at the University of Washington in Seattle, footage of the making of the first carbon fiber parts, and slalom testing in the ground test vehicle. The FAA recommends that all aircraft operators check NOTAMs OFTEN for mandatory airspace restrictions prior to operations within this region. Specific instructions and restrictions are available here once the NOTAM has been issued. On February 18 we’ll be having our membership meeting at Cattlemens Restaurant, 2000 Taylor Road, Roseville. In the Banquet Hall, dinner will be at 18:00, for those who are interested, and the meeting is scheduled to begin at 19:00. We’ll be having a talk from Jeff O’Mealy about his experimental Switchblade project. Remember there’s a meeting on Wednesday 4th, 17:30 at Pizza Roundup, 2270 Nicolaus Rd. in Lincoln, and the latest ideas sheet.